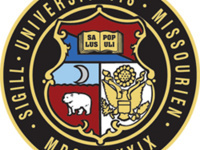 University of Missouri System President Mun Choi will present “Excellence through Innovation: A New University of Missouri System” at 10 a.m. Friday, Sept. 14, at the Missouri Theatre in Columbia. A reception will follow. Click here to RSVP. Parking is available in the University Avenue garage, the Hitt Street garage as well as metered street parking in Columbia. The Office of the President will facilitate event transportation for attendees with mobility impairments. To request assistance in reaching the Missouri Theatre, or for questions, please reach out to presevents@umsystem.edu.